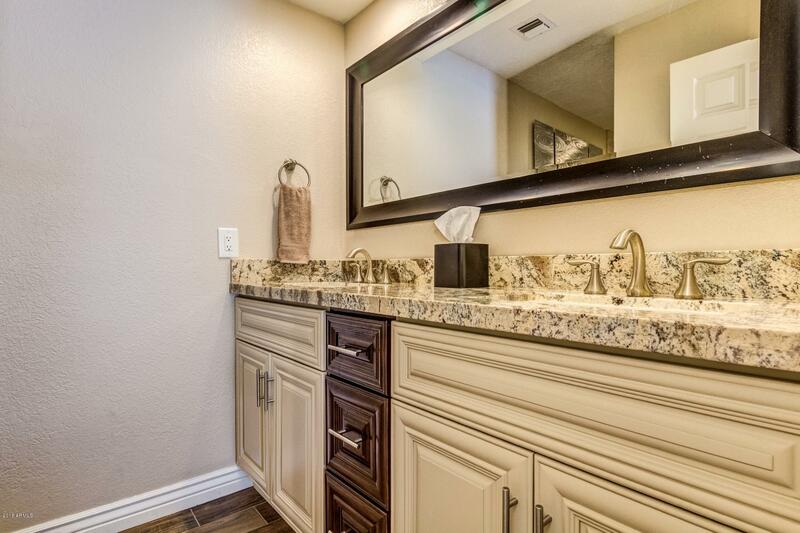 Exquisite Remodel!!! 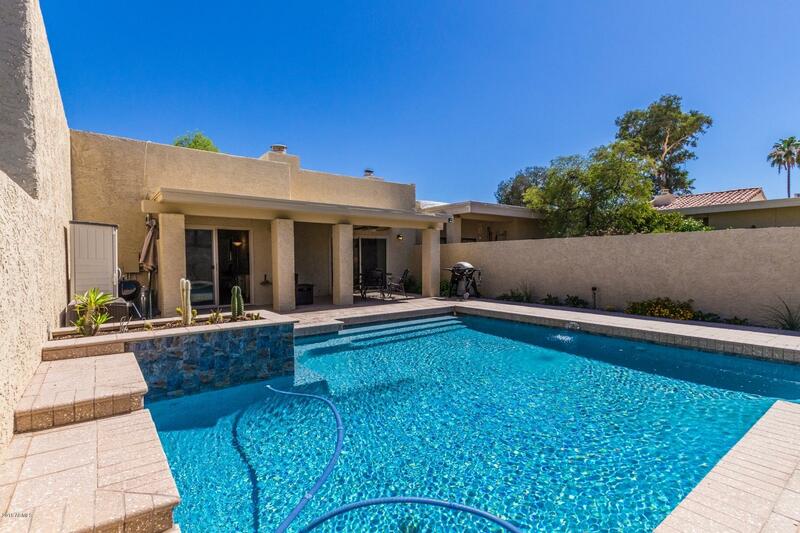 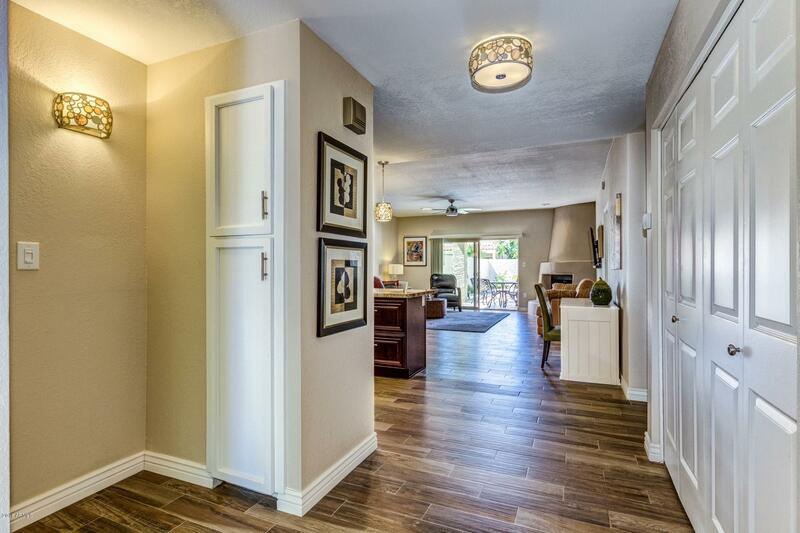 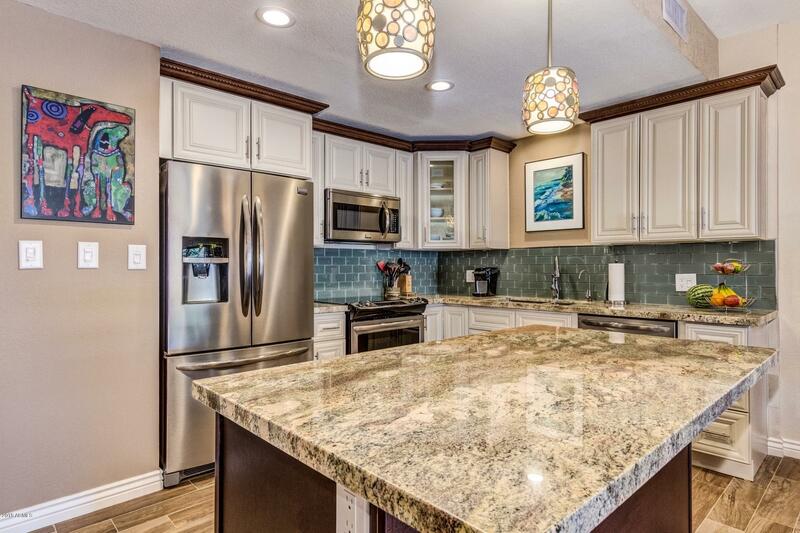 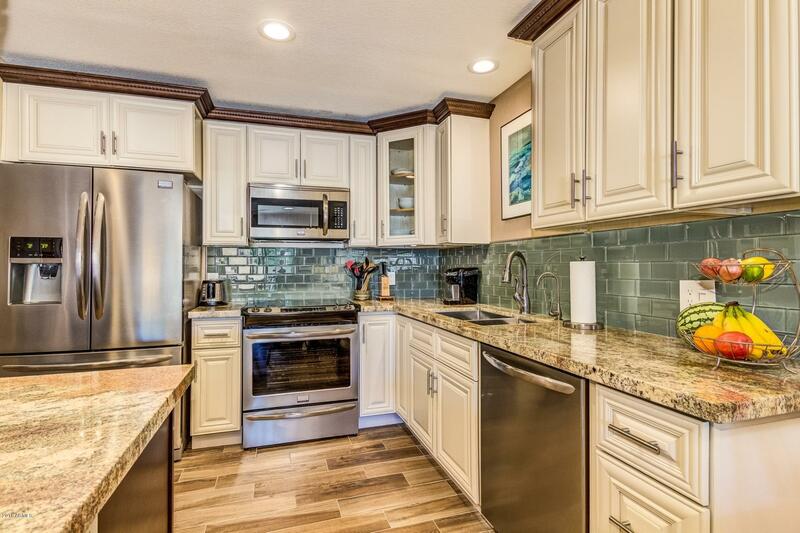 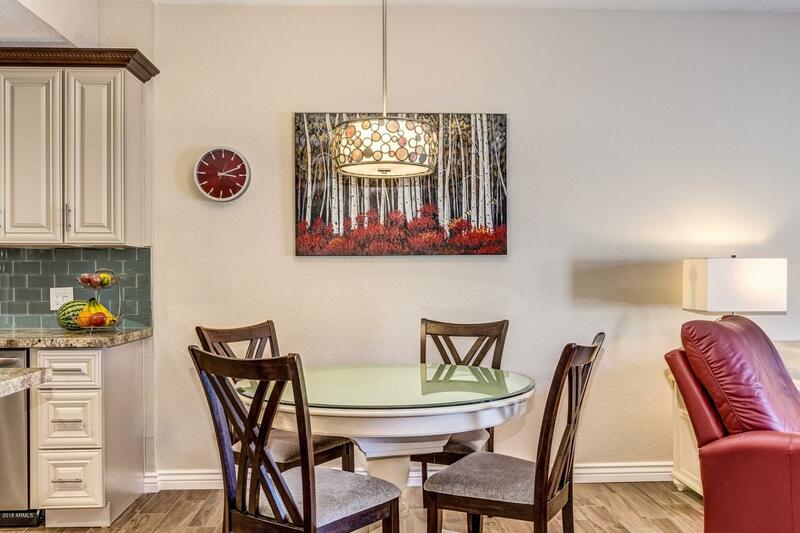 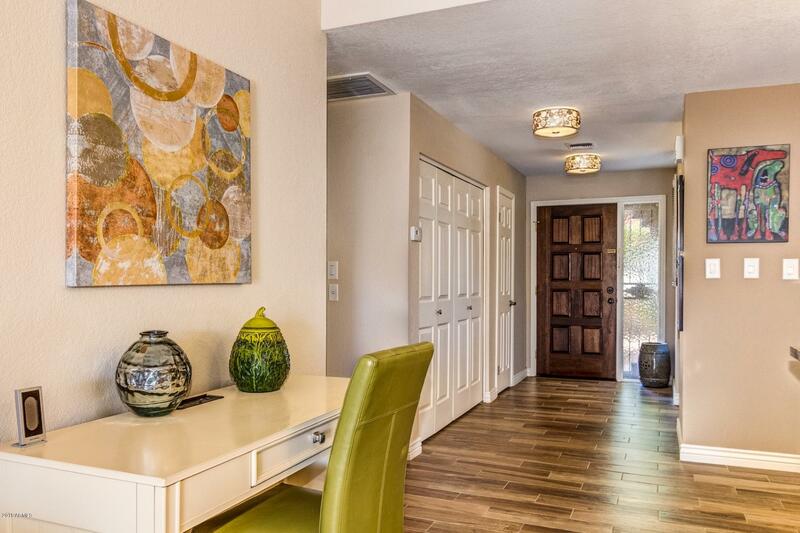 Premium location in this popular patio home community on a quiet street within walking distance to grocery, shopping, dining, Chaparral Lake & miles of lush green walking & biking paths in Camelback Park along Hayden! 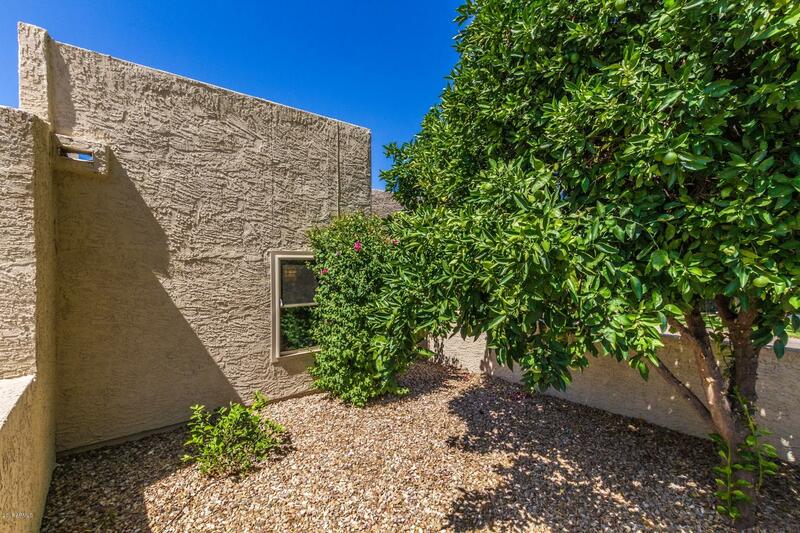 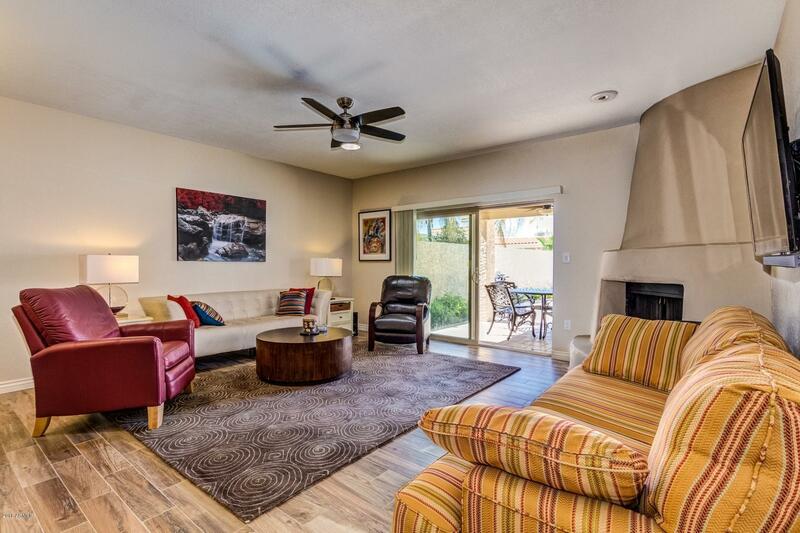 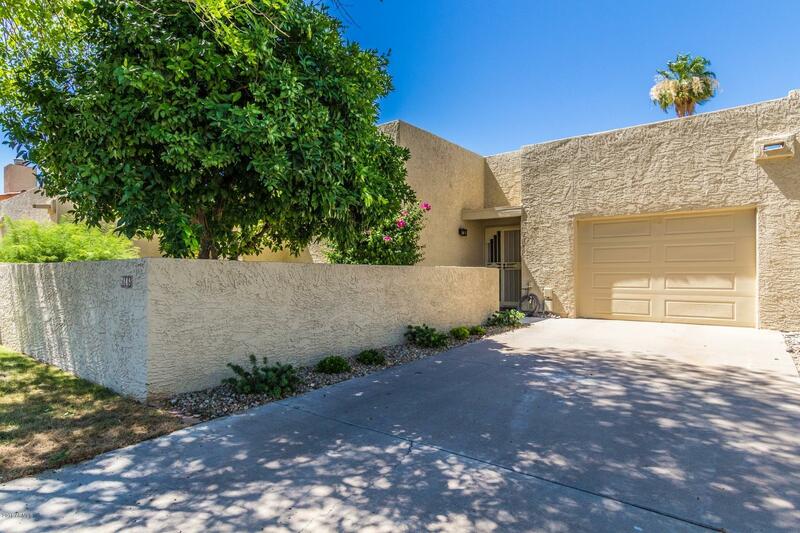 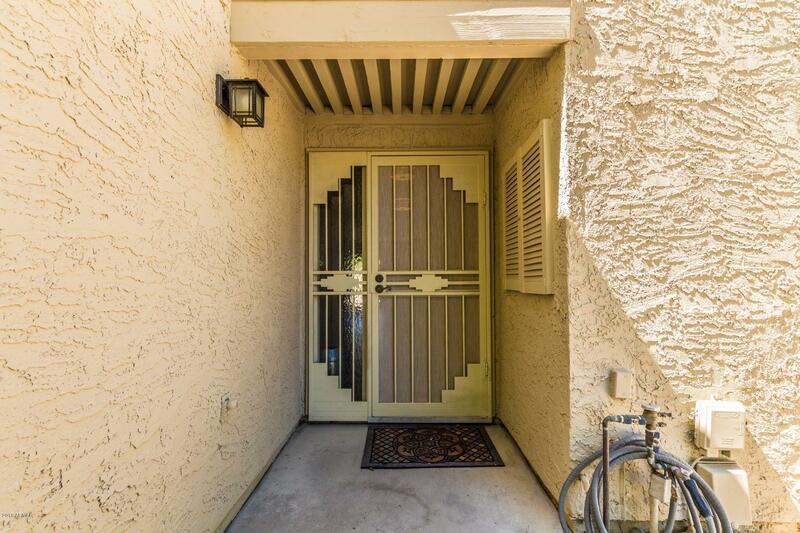 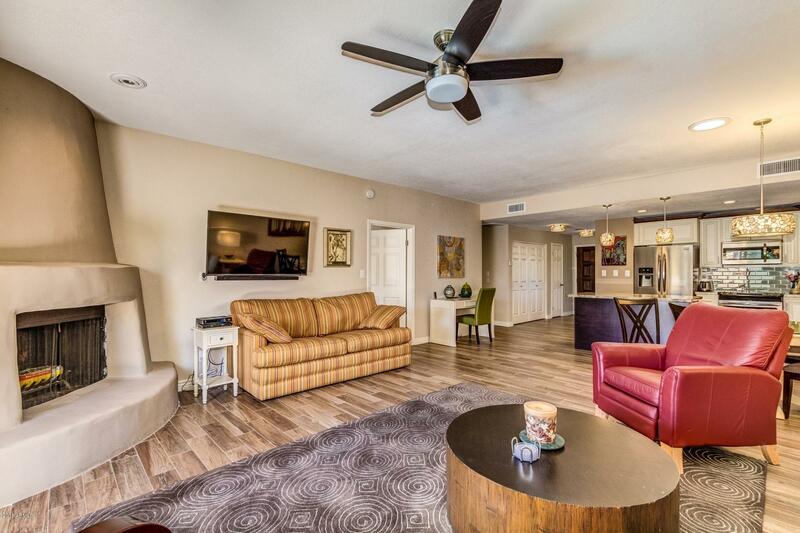 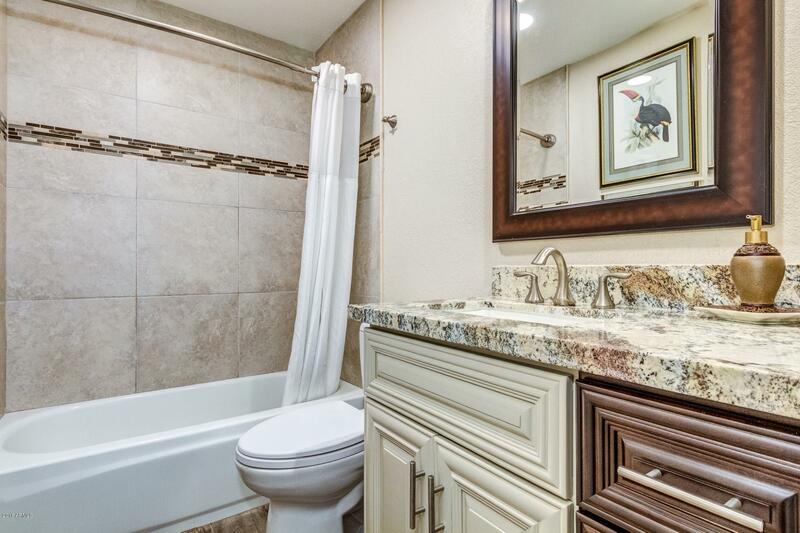 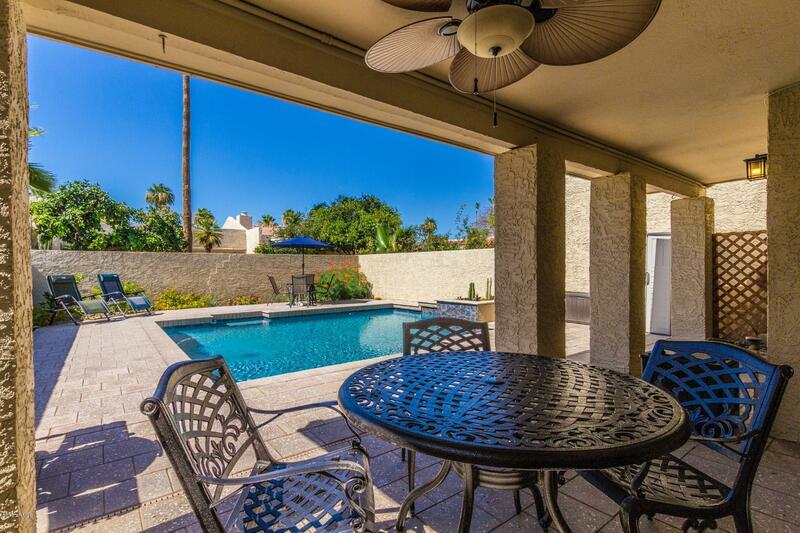 This is a single level 2 bedroom, 2 bath, Scottsdale Monterey patio home with attached single car garage & front courtyard. 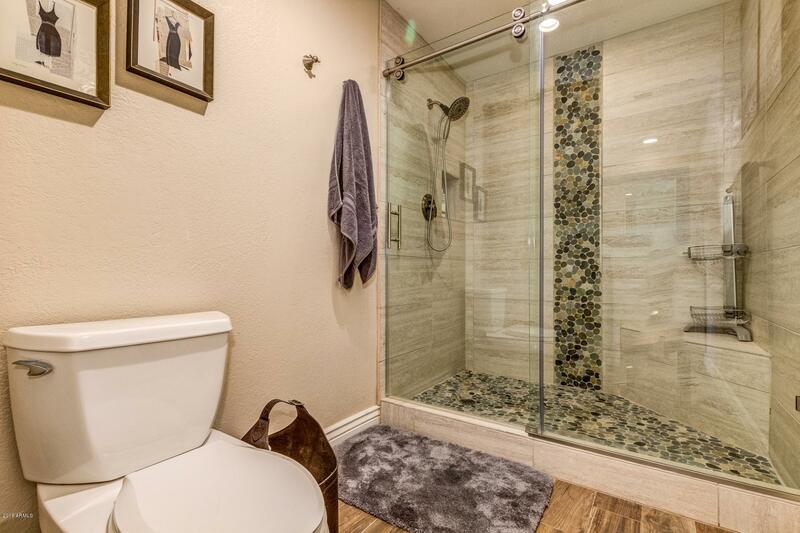 Convenient split floor plan. 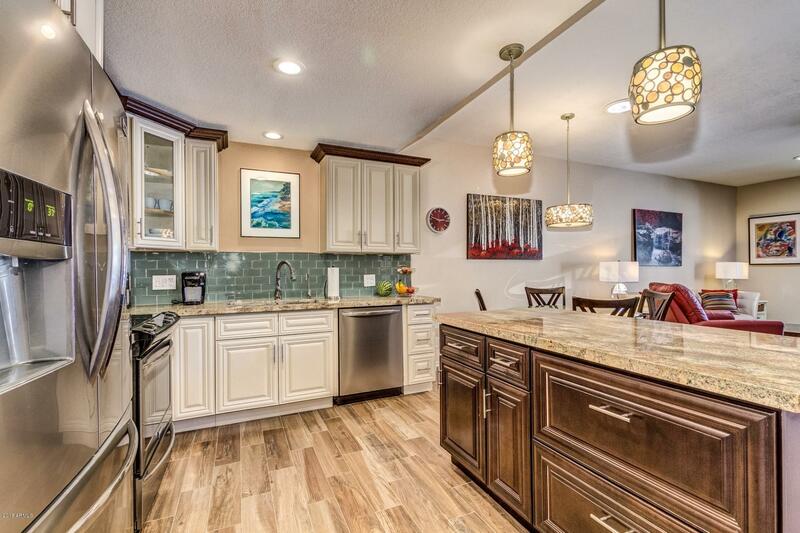 This 1467 sf Model features granite countertops in the kitchen & a breakfast bar overlooking the great room with a wood burning fireplace. 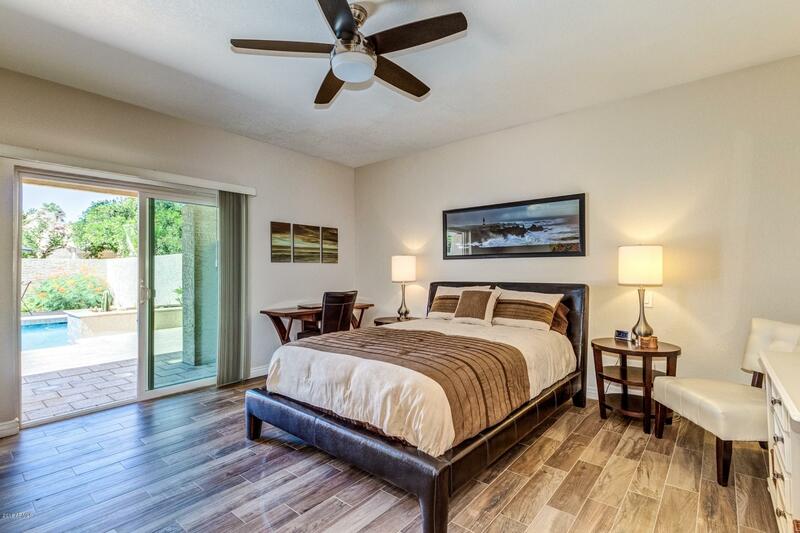 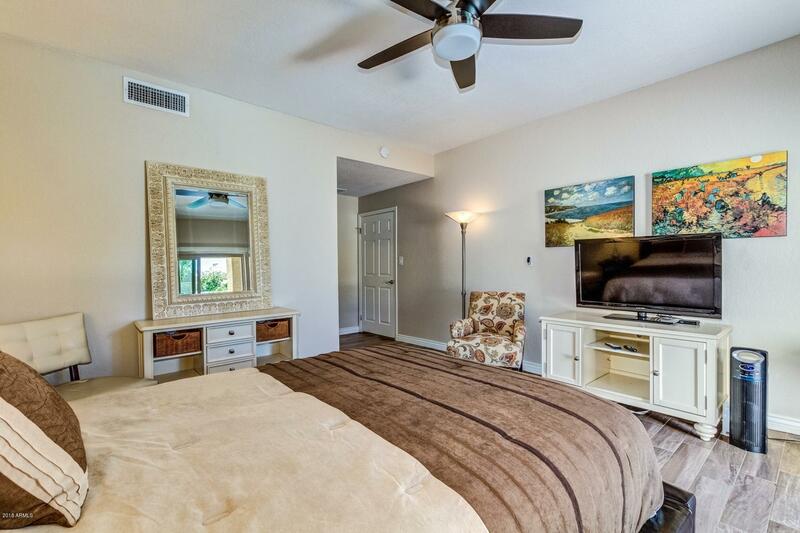 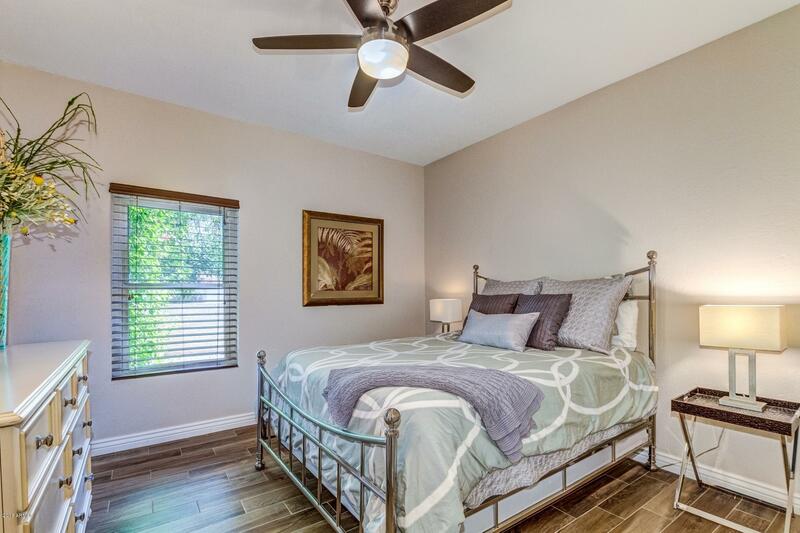 The master bedroom has a walk-in closet & access to the covered patio with private pool. 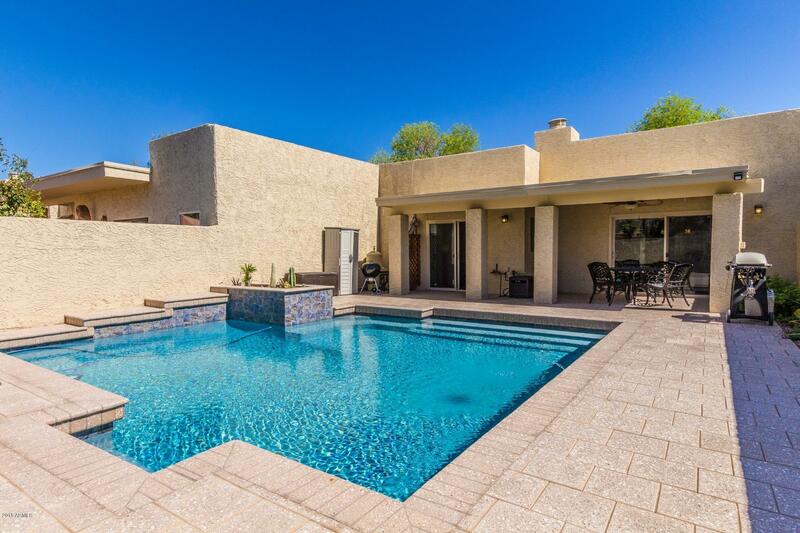 Also a few doors down at the community center is the heated community pool and spa.